Altura to boost funding at Pilgangoora lithium project (0) March 13, 2019 Altura Mining has increased a proposed share purchase plan (SPP) from $5 million to $10 million on the back of strong investor demand. 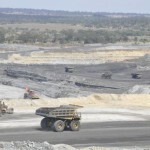 New Hope hits environmental breakthrough at New Acland (0) March 13, 2019 New Hope Group has put an end to a protracted legal battle with the granting of an environmental approval for its New Acland coal mine stage three project in Darling Downs. Popularity of electric vehicles to demand industry shift (0) March 13, 2019 Australians are urged to cut down their ownership of fossil fuel-based cars as an electric vehicle (EV) presence will arrive “much sooner than later”. Newcrest to partner with Greatland Gold in $US65m deal (0) March 13, 2019 Newcrest Mining and Greatland Gold have agreed to a $US65 million farm-in to advance the Havieron copper-gold project in Western Australia. 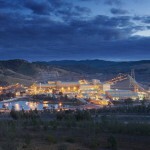 Barrick drops bid for Newmont as companies enter JV (0) March 12, 2019 Barrick Gold and Newmont have agreed to form a joint venture (JV) at their Nevada, United States-based operations for a combined $5 billion in value over a 20-year period. Fosterville gold mine to expand with cement plant (0) March 12, 2019 Kirkland Lake Gold’s Fosterville gold mine is set to receive an onsite cement plant with support from Victoria’s Labor Government. Australia could reap extra $9.4bn from critical minerals (0) March 12, 2019 The Australian Government reiterates its commitment to ensuring Australia reaches its potential as a global supplier of critical minerals following the release of a report from Geoscience Australia. Newcrest, Encounter JVs increase gold exploration tenement (0) March 12, 2019 Newcrest Mining has significantly expanded its joint venture (JV) tenure with Encounter Resources by securing a large exploration tenure in Western Australia. Ansteel to acquire Gindalbie Metals in $25m deal (0) March 12, 2019 Gindalbie Metals will demerge its subsidiary Coda Minerals to shareholders before being purchased by Chinese producer Ansteel in a deal worth around $25 million. 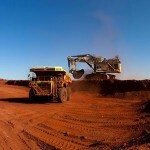 Rio Tinto pips Wesfarmers to top spot on list of Australian companies (0) March 12, 2019 Three mining companies have taken a podium finish in IBISWorld’s list of the top 1000 companies in Australia by revenue. Newcrest to enter North America with $1.1bn mine purchase (0) March 12, 2019 Newcrest Mining will acquire 70 per cent of the Red Chris copper-gold mine for $US806.5 million ($1.14 billion) in a deal with Canadian company Imperial Metals. PHIL launches updated tailgate system for Komatsu trucks (0) March 8, 2019 United States company Phillippi-Hagenbuch (PHIL) has developed a new version of its Autogate Tailgate system for use with Komatsu rigid frame haul trucks. Capricorn Metals CEO resigns after just one month (0) March 8, 2019 Capricorn Metals’ CEO and CFO have resigned after three company directors were replaced following a shareholder vote. Victoria to attract more women into resources (0) March 8, 2019 The Victorian Government will partner with the Australasian Institute of Mining and Metallurgy (AusIMM) to entice a new generation of students in to the Victorian resources sector. Universities launch efforts to lift mining enrolments (0) March 8, 2019 Australia’s tertiary institutions are persisted with their efforts to attract mining and engineering students despite slipping enrolment figures. 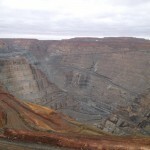 Panoramic ramp up at Savannah slower than expected (0) March 8, 2019 Panoramic Resources is set to improve operations at the Savannah nickel-copper-cobalt project in Western Australia after failing to meet production target this year. Rising graphite demand opens opportunities for Australian miners (0) March 8, 2019 High graphite prices are encouraging development of new projects outside of China, according to market consultant Roskill. LNS identifies top industry challenges in latest report (0) March 8, 2019 The mining, metals and materials industry is vulnerable to many social and economic pressures in its important role as a material provider. 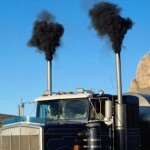 Mining companies urged to manage exposure to diesel fumes (0) March 8, 2019 Exposure to high levels of diesel fumes could be the biggest occupational health threat since asbestos, according to hydraulic engineer Norm Mathers. Geopacific to acquire full ownership of Woodlark (0) March 8, 2019 Geopacific Resources has acquired all of Kula Gold’s rights and interests in the Woodlark gold project in Papua New Guinea, consolidating Geopacific’s direct ownership of the project. 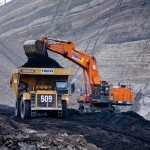 Thiess scoops $172m coal extension (0) March 7, 2019 Thiess has secured a $172 million contract extension from Bayan Resources to expand the miner’s coal operations at Melak in East Kalimantan, Indonesia. Newcrest to work with Jacobs on Cadia expansion (0) March 7, 2019 Newcrest Mining has awarded Jacobs Engineering a contract as part of the planned expansion of the Cadia operations in New South Wales, Australia’s top producing gold site in 2018. MMG doubles down on efficiency in response to market volatility (0) March 7, 2019 MMG has posted a 61 per cent drop in profits in 2018, citing the impact of ongoing “trade friction” between the United States and China. Fosterville production growth supported by Pitram (0) March 7, 2019 Kirkland Lake Gold has adopted fleet management and mine production solution Pitram at its award-winning Fosterville gold operation in Victoria. RPMGlobal unveils design solution for intelligent mining suite (0) March 7, 2019 RPMGlobal plans to expand its Intelligent Mining (IM) suite with the launch of an Intelligent Design (D) solution that takes advantage of up-to-date enterprise technology for mining. BGC Contracting revives golden days with Northern Star contract (0) March 7, 2019 BGC Contracting has won its first Western Australian gold contract in 10 years as part of Northern Star Resources’ development of the Ramone project. Sandvik unveils underground drilling simulator (0) March 7, 2019 Sandvik has introduced an operator training simulator to provide a compact and flexible solution to safely train teams on the DD422i, DD422iE and DT922i drill rigs. BHP partnership to remove carbon dioxide from atmospheric air (0) March 6, 2019 BHP is set to invest $US6 million ($8.5 million) in Carbon Engineering to support the development of a ground-breaking technology that reduces carbon emissions. Talison Lithium ends dispute with GAM over Greenbushes (0) March 6, 2019 Talison Lithium and Global Advanced Metals (GAM) have settled a mining rights dispute related to Talison’s proposed expansion of the Greenbushes lithium mining area in Western Australia. OZ Minerals considers Carrapateena block cave to up production (0) March 6, 2019 Converting a section of the Carrapateena copper mine in South Australia to a block cave could significantly improve overall production, says OZ Minerals. Female diversity, inclusion shows room for improvement (0) March 6, 2019 A national survey of women in mining by the Australasian Institute of Mining and Metallurgy (AusIMM) shows that support for women is still needed in the industry. Cat 797F mining truck passes the emissions test (0) March 6, 2019 The Cat 797F ultra-class mining truck has become available in a fuel-efficient configuration that meets US EPA Tier 4 Final emissions standards. BHP stakes $US6 million in clean energy company (0) March 5, 2019 BHP has invested $US6 million ($8.47 million) in Canadian clean energy company Carbon Engineering. 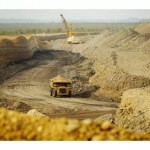 Australia-Indonesia trade deal to promote METS sector (0) March 5, 2019 Australia and Indonesia have signed a trade deal that will bring greater opportunities for Australia’s mining equipment, technology and services (METS) companies. Riversdale takes time to consider Hancock takeover bid (0) March 5, 2019 The board of Riversdale Resources has recommended shareholders take no action relating to a takeover offer received from Hancock Prospecting last week. Newmont rejects $25bn Barrick takeover bid (0) March 5, 2019 Barrick Gold’s hostile $US18 billion ($24.8 billion) takeover offer for Newmont Mining has hit its first hurdle after being unanimously rejected by the target. 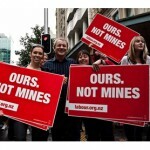 Adani takes aim at Greens proposal to stop Galilee Basin coal mining (0) March 5, 2019 A private member’s bill introduced by the Greens proposing to ban coal mining in the Galilee Basin region of Queensland has drawn the ire of coal company Adani. Sedgman continues debate with Heron over Woodlawn costs (0) March 4, 2019 Sedgman is persisting in its claim for additional costs related to works at the Woodlawn project despite rejection from the contract superintendent. Orminex scoops Penny’s Find gold mine from Empire (0) March 4, 2019 Orminex has acquired Penny’s Find gold mine in Western Australia from Empire Resources, marking the mine’s second change of hands in less than six months. Kalium Lakes to become one of world’s lowest cost potash producers (0) March 4, 2019 Kalium Lakes’ front-end engineering design (FEED) works at its Beyondie sulphate of potash project (BSOPP) in Western Australia have delivered improved production and financial outcomes. Vale CEO steps down over dam disaster (0) March 4, 2019 Vale chief executive officer Fabio Schvartsman has temporarily resigned from his role due to controversy related to the Brumadinho tailings dam disaster in Brazil in January. Hancock-owned company invests in Victorian gold project (0) March 4, 2019 Gold Exploration Victoria (GEV) is investing just over $13 million to acquire around 11 per cent of Perth-based explorer Catalyst Metals. Coolgardie Minerals enters voluntary administration (0) March 4, 2019 Coolgardie Minerals has entered voluntary administration following the commencement of gold ore production at its Geko project in Western Australia in November last year. 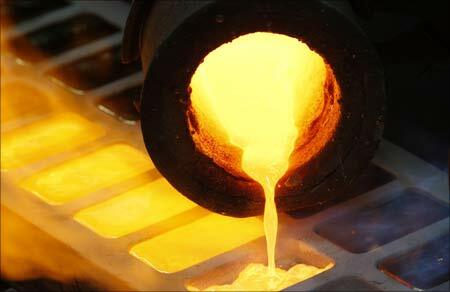 Australia achieves record gold production in 2018 (0) March 4, 2019 Australia’s gold producers have capitalised on a surging price for the precious metal by delivering an all-time production record last year. BMA builds Bowen Basin apprenticeship program (0) March 4, 2019 BHP Billiton Mitsubishi Alliance (BMA) has welcomed a large intake of local apprentices to sites across the Bowen Basin, Queensland. 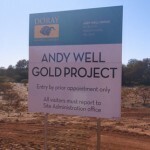 Westgold cancels purchase of Doray gold projects (0) March 1, 2019 Westgold Resources will not go ahead with its planned purchase of Doray Minerals’ Andy Well and Gnaweeda gold projects announced in December last year. Western Australia up to second in rankings as a place to invest (0) March 1, 2019 Western Australia is the only Australian state or territory to feature in the top 10 of the Fraser Institute’s annual survey of mining companies for the second straight year. Hastings Deering delivers haul truck service contract for New Hope (0) March 1, 2019 New Hope Group has completed a $10 million refit of its large haul trucks at the New Acland coal mine in Queensland. Major contracts push Decmil to strong start in 2019 (0) March 1, 2019 Several Tier 1 mining contracts have helped push engineering contractor Decmil into profitability in its first-half report for 2019. BGC ramps up contracting business sale process (0) March 1, 2019 BGC is exploring options for the sale of the group’s national contract mining, maintenance and civil construction business, BGC Contracting. 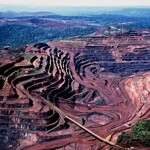 Rio Tinto to be part of climate change solution, not problem (0) February 28, 2019 Rio Tinto has reaffirmed its transition to a low carbon future, emphasising it is the only major mining company without coal. Hancock makes $591m offer to buy out Riversdale Resources (0) February 28, 2019 Hancock Prospecting has announced its intent to purchase the remaining shares in Canadian company Riversdale Resources that it doesn’t already own. BHP diversifies leadership by promoting three women (0) February 28, 2019 BHP has bolstered its executive leadership team with four appointments, including the addition of three women. 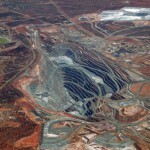 Rio Tinto to return $US13.5 billion to shareholders (0) February 28, 2019 Rio Tinto has declared a victory for its “value-over-volume” strategy as it announced plans to return a record $US13.5 billion ($18.9 billion) to shareholders following a strong 2018. Australian universities world’s top institutions for mining (0) February 28, 2019 Four out of the world’s top six universities for engineering – mineral and mining are found in Australia, the 2019 QS World University Rankings reported. Civmec contract at South Flank to create up to 80 jobs (0) February 28, 2019 Civmec has secured a fabrication and assembly contract at BHP’s South Flank iron ore project in the Pilbara region of Western Australia. Lucapa secures first diamond sales from Mothae plant (0) February 28, 2019 Lucapa Diamond Company’s first sale from its new Mothae kimberlite plant in Lesotho, southern Africa has returned $5.3 million at a tender in Antwerp, Belgium. Rio Tinto reveals Paterson Province discovery (0) February 28, 2019 Rio Tinto has released long-awaited details of a promising copper-gold discovery at the Winu project in the Yeneena Basin of the Paterson Province in Western Australia. AVZ Minerals secures Chinese backing to advance lithium prospect (0) February 27, 2019 AVZ Minerals has raised $9.8 million which will fast-track its Manono lithium and tin project in the Congo toward production. National Group and BHP pair up for Peak Downs excavator delivery (0) February 27, 2019 The National Group has closed out a record breaking 2018 and started 2019 off with a bang by delivering a pair of brand new excavators into Queensland’s Bowen Basin. 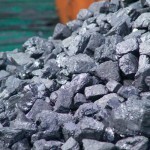 Clean coal demand drives Yancoal growth aspirations (0) February 27, 2019 Yancoal Australia has highlighted a continued energy industry demand for high efficiency thermal coal after posting record production and earnings for 2018. Miners to get global standard for tailings facilities (0) February 27, 2019 The International Council on Mining and Metals (ICMM) will develop an international standard for tailings facilities for its member companies, of which include BHP and Vale. Ausdrill secures $123m African extension (0) February 27, 2019 Ausdrill subsidiary African Mining Services (AMS) has been awarded an $US88 million ($123 million) contract extension with Ghana Manganese Company. Macmahon on track to achieve billion-dollar guidance (0) February 26, 2019 Macmahon enjoyed increased activity in key projects during the six months ending December 2018, which puts the company on track to earning a billion dollar revenue this mid-year. Altura closes in on nameplate lithium target at Pilgangoora (0) February 26, 2019 Recent improvements to Altura Mining’s processing plant at Pilgangoora has seen the company edge ever closer to its lithium nameplate capacity. Phosphate Hill to potentially take $120m hit as QLD rail repairs advance (0) February 26, 2019 Queensland Rail has created a taskforce to expedite repairs to over 200 kilometres of track on the Mount Isa line affected by the recent floods in the state. 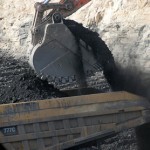 Moranbah North operations restart (0) February 26, 2019 Anglo American has reportedly resumed operations at the Moranbah North coal mine in Queensland following last week’s underground incident at the site. Barrick launches $25bn bid for Newmont (0) February 26, 2019 Barrick Gold has officially unveiled an offer to merge with Newmont Mining after several days of anticipation it would make a tilt for the gold rival. AuStar inches closer to production at Victorian gold mines (0) February 26, 2019 AuStar Gold has transitioned its focus from exploration to production as it was advancing development of the historic Morning Star and Rose of Denmark mines in Victoria. 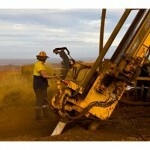 Millennium to build second underground mine at Nullagine (0) February 25, 2019 Millennium Minerals will raise around $15 million to develop a second underground mine and ramp-up exploration at Nullagine in the Pilbara. Airman’s box-type compressor still a mining favourite (0) February 25, 2019 If there’s a service truck out at a remote mining site, the likelihood is it will have a box-style Airman portable diesel compressor mounted on its back. Weir Minerals backs industry partnerships as key to process optimisation (0) February 25, 2019 Weir Minerals has emphasised that suppliers need to maintain close ties with mining clients in order to effectively optimise processes. Evolution gains access to East Kundana with Tribune investment (0) February 25, 2019 Evolution Mining has invested $41.3 million in Tribune Resources, owner of a key stake in the East Kundana gold operation in the Goldfields, Western Australia. GR Engineering puts delays aside to secure new contracts (0) February 25, 2019 GR Engineering has maintained a contract winning streak that carried on to the December 2019 half year amid project development delays. 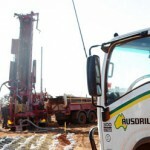 Ausdrill riding high on Barminco acquisition as expansion push continues (0) February 25, 2019 Ausdrill has reaped the benefits of last year’s Barminco acquisition, posting significant increased profit and revenue over the last half year. Still room for fun as Northparkes $220m block cave gets under way (0) February 25, 2019 From shaking out moves at the Parkes Elvis Festival to commencing its next block cave mine, it’s all happening for Northparkes Mines. Barrick considers Newmont takeover bid (0) February 25, 2019 The Canadian company has reviewed the opportunity to merge with the United States-based Newmont in an all-share, nil premium transaction. 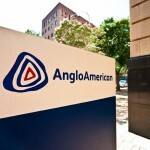 Anglo American focuses on safety amid productivity gains (0) February 22, 2019 Anglo American produced 10 per cent more copper last year than in 2012 with just half the number of assets, the company revealed in its annual report. Adani’s coal mine approval could take two years (0) February 22, 2019 Adani could wait up to two years to receive two environmental clearances for its Carmichael coal operations in Queensland, according to a Queensland Government official. First gold shipment from Hellyer heads to Korea (0) February 22, 2019 Mining revival in Tasmania sets sail with Hellyer gold mine’s first shipment of silver-lead-gold concentrate from the port of Burnie. Glencore caps coal output in response to climate change (0) February 22, 2019 Australia’s largest coal company Glencore has taken the decision to maintain its coal output at current levels “to meet the growing needs of a lower carbon economy”. Kirkland Lake sets 1Moz target in 2019 as Fosterville booms (0) February 22, 2019 Kirkland Lake Gold could complete its rapid rise towards becoming a one million ounce a year gold producer sooner than the company previously expected. Albemarle awards Kemerton lithium work to BGC Contracting (0) February 21, 2019 BGC Contracting has diversified into Western Australia’s ‘Lithium Valley’ for the first time with an earthworks construction contract at Albemarle’s Kemerton lithium project. 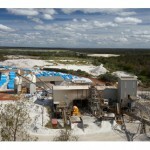 Kalium Lakes to receive $74 million NAIF loan (0) February 21, 2019 Kalium Lakes has moved forward with its plans to become Australia’s first domestic producer of sulphate of potash (SOP) with the approval of a major funding boost. 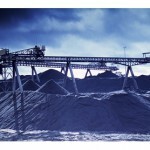 MinRes earnings impacted by continued expansion works (0) February 21, 2019 Mineral Resources’ continued growth through acquisitions and project development has hit the company’s earnings in its latest financial report. Emeco to invest $90m on equipment to drive mining growth (0) February 21, 2019 Mining equipment specialist Emeco Holdings will spend around $90 million on new assets to contribute to earnings and cash generation in the 2020 financial year. Iluka nears Cataby completion amid mineral sands upswing (0) February 21, 2019 Iluka Resources has achieved strong results from its mineral sands operations in 2018, including a new production record for synthetic rutile. Curtin calls for better protection of mine site animals (0) February 21, 2019 Curtin University research has found that the impact of mining on animals is overlooked in most site restoration assessments. 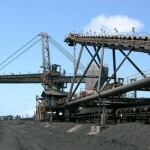 Moranbah North suspends coal operations following tragic accident (0) February 21, 2019 Anglo American has stopped production at its Moranbah North mine in central Queensland following a fatal incident yesterday. Rio Tinto to bolster tailings management after Vale incident (0) February 21, 2019 Rio Tinto plans to strengthen how its global portfolio of tailings dams is managed in the wake of Vale’s latest disaster in Brazil. More jobs growth in Western Australia (0) February 20, 2019 Western Australia ushers in the new year with a 2.7 per cent increase in job vacancies last month, crowning it as the dominant state in the mining sector. Fortescue shows strong growth on back of improving market (0) February 20, 2019 Fortescue has posted a large boost to profits and a surge in iron ore prices for the six months ending December 31, 2018. 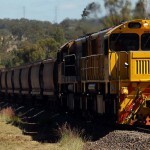 BHP productivity plans stall due to outages, train derailment (0) February 20, 2019 BHP has stated that productivity will be “broadly flat” in the 2019 financial year according to chief executive officer Andrew Mackenzie. CSIRO technology extracts phosphate from lower grade ores (0) February 20, 2019 CSIRO has developed a smelting process that allows soluble phosphate to be produced from low value ores, eliminating hazardous waste and improving environmental sustainability. BHP hands out South Flank contract to Clough (0) February 19, 2019 BHP has awarded its latest contract for the South Flank iron ore project in the Pilbara, Western Australia to Clough. Evolution goes underground at Cowal with Pybar (0) February 19, 2019 Evolution Mining’s expansion of the Cowal gold operations in New South Wales has moved forward with the award of an underground development contract to Pybar. Brazil to decommission all upstream tailings dams by 2021 (0) February 19, 2019 The Brazilian Government has elected to impose a ban on all upstream tailings dams in light of Vale’s tailings dam disaster in January that killed at least 169 people. 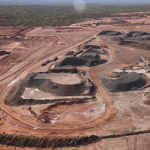 Kalium Lakes given the go-ahead for Beyondie SOP project (0) February 19, 2019 Kalium Lakes has been granted all required approvals for its Beyondie sulphate of potash project (BSOPP) in the eastern Pilbara region of Western Australia. Lucapa unearths 12th Lulo diamond above 100 carats (0) February 19, 2019 Lucapa Diamond Company has recovered a 128-carat diamond from the Lulo alluvial mine in Angola, the 12th 100-plus carat gem it has secured from the African site. Monadelphous contract at BHP’s South Flank to create 400 jobs (0) February 19, 2019 Monadelphous has been granted a construction works contract worth $108 million at BHP’s South Flank iron ore project in the Pilbara, Western Australia. Glencore ups intake of apprentices in Australia (0) February 19, 2019 Glencore is supporting its status as one of Australia’s leading mining industry employers by boosting its number of apprentices in 2019. Fortescue defends autonomous system after trucks collide (0) February 18, 2019 An autonomous truck at Fortescue’s Christmas Creek iron mine in the Pilbara has reversed into another stationary truck, the company confirmed on Friday. Sedgman denied $49.9 million in costs dispute with Heron Resources (0) February 18, 2019 A claim from contractor Sedgman for $49.9 million in additional costs from contractor Heron has been rejected by the contract superintendent. Lepidico develops battery-grade chemical producing lithium technology (0) February 18, 2019 Lepidico will concentrate its production of high purity lithium hydroxide rather than lithium carbonate, due to customer preferences for the battery compound. Smart connections: How the Internet of Things is changing asset management (0) February 18, 2019 The opportunities with new technologies are endless and the capability of Cat product to connect remotely is leading the way in technology solutions for mining and exploration. NRW locks in $62m rail contract with Fortescue (0) February 18, 2019 Fortescue Metals Group has now officially awarded NRW Holdings an ambitious rail project contract first announced at the end of last year. Civmec contracted by Albemarle to develop WA lithium plant (0) February 18, 2019 Engineering services company Civmec has been chosen by Albemarle Lithium to construct a lithium hydroxide plant in Western Australia. Flooded rail track in QLD to be repaired earlier than expected (0) February 15, 2019 A flooded rail track that has significantly impacted mineral shipments from major miners such as Glencore could be repaired ahead of schedule, according to railway operator Queensland Rail. NRW grows business after finalising RCR acquisitions (0) February 15, 2019 NRW Holdings head Jules Pemberton says the company has received “positive engagements” from clients following its acquisition of two RCR Tomlinson companies. Scott Morrison and Matt Canavan criticise anti-mining advocates (0) February 15, 2019 Prime Minister Scott Morrison has decried anti-mining advocates in a speech to the Minerals Council in Canberra as the coalition government revealed new plans for mining. BHP seeks 75% copper growth project at Olympic Dam (0) February 15, 2019 BHP’s growth aspirations to significantly increase copper output at Olympic Dam have been recognised by the South Australian Government with major development status. Gruyere JV targets 120,000oz gold in 2019 (0) February 15, 2019 The Gruyere gold joint venture expects to produce up to 120,000 ounces from the Western Australia operation this year after production starts in the June quarter. Panoramic first shipment from Savannah restart sets sail (0) February 15, 2019 Panoramic Resources has shipped first concentrate from the company’s recommissioned Savannah project in the Kimberley region of Western Australia. 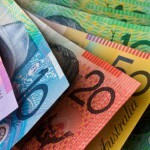 Resources sector set for growth despite rising competition (0) February 14, 2019 The Morrison Government has released a new national resources plan to maintain the competitiveness of Australia’s resources sector. South32 puts tailings management front and centre (0) February 14, 2019 South32 has highlighted tailings safety in its latest 2019 half-year report, emphasising the company’s dam management standard. Cadia strengthens Newcrest profit with record output (0) February 14, 2019 Newcrest Mining more than doubled its half-yearly profit amid lower gold and copper prices, thanks to record high production at the Cadia operations in New South Wales. Myanmar Metals confirms Bawdwin JV as world’s largest lead resource (0) February 14, 2019 A new report has confirmed Myanmar Metals’ Bawdwin project as the world’s largest primary lead resource, with an indicated resource of 37.2 million tonnes. More mergers and acquisitions in store for 2019 (0) February 14, 2019 Australia hit a new record in mergers and acquisitions (M&A) not seen since 2015 last year, totalling $164.1 billion in deals, with energy mining and utilities topping the target sectors. 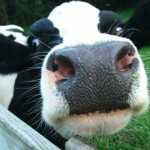 Peabody praised for transforming Wilkie Creek site into grazing land (0) February 14, 2019 Peabody has received certification from the Queensland Government for rehabilitating nearly 90 hectares of the Wilkie Creek open cut mine in the Darling Downs region. BHP commits $1.34bn to petroleum ventures (0) February 14, 2019 BHP has approved two major funding packages worth a combined $US952 million ($1.34 billion) to advance its petroleum prospects offshore the United States and Mexico. Mandalay secures $45.7m to support gold development in Victoria (0) February 13, 2019 Mandalay Resources has raised $C43 million ($45.7 million) in funding to help develop operations such as the Costerfield gold-antimony operation in Victoria. Wage pressure ‘inevitable’ as skills shortages worsen (0) February 13, 2019 Recruitment agency Hays expects skills shortages in mining to be a major concern as the sector competes with other growth industries around Australia. Northern Star exploration signals growth for Pogo (0) February 13, 2019 Northern Star’s Pogo gold mine could see a boost to its mineral resource after returning strong exploration results outside of the existing resource. Sandvik commissions new Australian dealer for mobile crushers (0) February 13, 2019 Sandvik has appointed Porter Group as its agent for Sandvik’s range of mobile crushers and screens for the whole of Australia. John Howard to headline 2019 Diggers & Dealers (0) February 13, 2019 Former Australian Prime Minister John Howard has been named as the keynote speaker for the 2019 Diggers & Dealers Mining Forum in Kalgoorlie-Boulder. Coal Council slams Rocky Hill mine rejection in NSW (0) February 12, 2019 The Coal Council of Australia (CCA) has condemned the New South Wales Land and Environment Court’s decision to refuse Gloucester Resources’ appeal over the Rocky Hill mine development. CIMIC secures major contract with Australia Pacific LNG (0) February 12, 2019 CIMIC Group has won a $90 million contract with Australia Pacific LNG to deliver over 300 coal seam gas wells in the Surat Basin, Queensland. 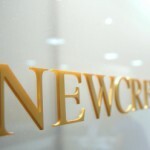 Newcrest tightens focus with $42m divestment (0) February 12, 2019 Newcrest Mining is selling its Séguéla gold project in Côte d’Ivoire, West Africa, to Canadian miner Roxgold for $US30 million ($42.5 million). Neometals makes start at battery recycling plant (0) February 12, 2019 Perth-based Neometals has commissioned the first stage of its lithium-ion battery recycling pilot project with SGS in Canada. China’s commodity consumption is influencing metal prices (0) February 12, 2019 China dominates the global supply and demand of metals, and Asia is at the very centre of the debate on the future of the international mining industry. 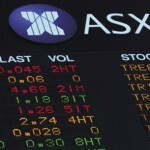 Flinders Mines plan to delist from ASX hits snag (0) February 11, 2019 The Australian Government’s Takeovers Panel has declared unacceptable circumstances in relation to Flinders Mines’ attempt to delist from the Australian Securities Exchange (ASX). Resolute not impacted by QLD monsoon at Ravenswood (0) February 11, 2019 Resolute Mining’s Ravenswood gold mine in Queensland has avoided damage from the the extreme weather affecting the state over the past few weeks. Intermin sets up $40m acquisition of Coolgardie gold project (0) February 11, 2019 Intermin Resources has secured an exclusivity deed with Focus Minerals to potentially acquire the Coolgardie gold project in Western Australia for $40 million. ERA increases rehab costs for Ranger uranium project (0) February 11, 2019 Energy Resources of Australia (ERA) has revised the rehabilitation cost for its Ranger uranium project in the Northern Territory following finalisation of its closure feasibility study. NSW court blocks Gloucester coal development (0) February 11, 2019 The New South Wales Land and Environment Court has rejected an appeal from miner Gloucester Resources regarding the refusal of its development application for the Rocky Hill coking coal mine. UNSW proposes moon mining for rocket fuel (0) February 8, 2019 A University of New South Wales (UNSW) research team plans to investigate the prospect of mining water from the moon to help produce rocket fuel. BHP continues Olympic Dam trial of light electric vehicles (0) February 8, 2019 BHP is trialling zero-emissions vehicles at the Olympic Dam operation in South Australia in an attempt to reduce exposure to particulate matter. MICROMINE integrates in push for mining digitisation (0) February 8, 2019 Mining technology company MICROMINE has stated that the integration of the company’s services with third-party systems is key for advancing mining technology. Fortescue, Rio Tinto prices rally as Vale declares force majeure (0) February 8, 2019 Australian iron ore majors such as Fortescue, BHP and Rio Tinto have all seen a significant boost to their share prices while Brazilian company Vale’s has dropped significantly. Altura Mining pushes lithium ramp up with funding package (0) February 7, 2019 Altura Mining is closing in on its capacity target of 220,000 tonnes per year at its flagship lithium project in Pilgangoora, Western Australia. Alliance Mineral Assets achieves lithium production record (0) February 7, 2019 Alliance Mineral Assets has posted record monthly production at the Bald Hill lithium and tantalum mine in Western Australia. Barminco wins $100m Hindustan Zinc contract (0) February 7, 2019 Barminco has been awarded a $100 million underground mining services contract from Hindustan Zinc at the Rampura Agucha mine in India. Glencore coal operations in Queensland hit by heavy rain (0) February 7, 2019 Production at Glencore’s Collinsville and Newlands coal mines in northern Queensland have been affected by heavy rain. Epiroc product manager Jaco Naude discusses what inspires him (0) February 7, 2019 Epiroc creates a work environment that demonstrates its core values of innovation, collaboration and commitment for all employees. Newmont pipeline for Tanami receives NT approval (0) February 7, 2019 The Australian Gas Infrastructure Group (AGIG) has received conditional consent from the Northern Territory Government to operate the 440-kilometre Tanami gas pipeline serving Newmont Mining’s Tanami gold mine. Coal leads Australian mining to 2018 export record (0) February 6, 2019 Australia’s resources exports delivered a record $248 billion in revenue in 2018, according to data from the Australian Bureau of Statistics (ABS). Iron ore on way to $US100/tonne as Vale clampdown continues (0) February 6, 2019 The global iron ore price is expected to temporarily rise above $US100 ($138) per tonne due to fallout from Vale’s recent tailings dam disaster in Brazil, according to Capital Economics. CIMIC growth led by ‘strong performance of the mining sector’ (0) February 6, 2019 CIMIC Group has cited its mining contracts as a key factor in the company’s growth throughout 2018. PitBull: The toughest hose reel designed with safety in mind (0) February 6, 2019 Many Australian mining companies and contractors have moved to Pit Bull hose reels for their rugged construction and user safety. Production to restart at historic Victorian gold mines (0) February 5, 2019 Victorian gold mining is set for another boost with AuStar Gold on the verge of launching production from the historic Morning Star and Rose of Denmark mines. OZ Minerals awards Carrapateena contract to GR Engineering (0) February 5, 2019 GR Engineering has won an engineering, procurement and construction (EPC) contract with OZ Minerals for the design and construction of a wellfield at the Carrapateena copper-gold project in South Australia. 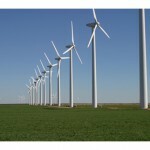 RCR cleanout ramps up with $3m sale of energy division (0) February 5, 2019 The Environmental Group Limited (EGL) has revealed its recent purchase of RCR Tomlinson’s energy division cost the company $3 million in cash. Heron disputes $49.9m Woodlawn costs claim from Sedgman (0) February 4, 2019 Heron Resources has received a claim from CIMIC Group subsidiary Sedgman for $49.9 million in additional costs for works at the Woodlawn zinc-copper project in New South Wales. Lucapa secures $23m in historic diamond tender (0) February 4, 2019 Lucapa Diamond Company, with its joint venture partners, has sold $US16.7 million ($22.9 million) of diamonds from its Lulo alluvial mine at a historic tender in Angola. Low cost in-pit crushing option seals the deal for McLanahan (0) February 4, 2019 When one of Queensland’s newest contract miners was seeking low-cost solutions for processing raw coking coal, McLanahan was always the first port of call. SIMEC continues deal with Havilah at iron ore projects (0) February 4, 2019 SIMEC Mining has extended its exclusivity period at Havilah Resources’ Maldorky and Grants iron ore projects in South Australia. Sandvik releases large-scale underground loader (0) February 4, 2019 Sandvik has introduced the LH621i intelligent loader for large-scale underground production and mine development. Western Australian Government delivers battery industry strategy (0) February 1, 2019 The McGowan Government has launched the Western Australian Future Battery Industry Strategy, designed to aid the state’s growth as a battery minerals exporter. Newmont awards Tanami contract to WorleyParsons (0) February 1, 2019 WorleyParsons has won a contract from Newmont Mining for engineering, procurement and construction management (EPCM) services at the Tanami gold mine in the Northern Territory. QLD explorers hunt for next major discovery (0) February 1, 2019 The Queensland Government has unlocked more land for exploration companies to identify the next generation of resources projects. Independence Group achieves production records at WA operations (0) February 1, 2019 Independence Group is on track to reach its guidance after delivering record results from the Nova and Tropicana mines in Western Australia. NRW Holdings to buy RCR Mining (0) January 31, 2019 NRW Holdings will purchase RCR Tomlinson’s mining and heat treatment divisions in the next two weeks for $10 million. Northparkes Mines’ $220m expansion to create up to 180 jobs (0) January 31, 2019 Northparkes Mines has announced the final approval of a new block cave mine for its successful copper operation in the Parkes region of Central West New South Wales. 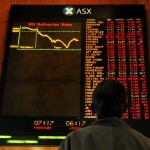 Flinders Mines postpones delisting due to shareholder backlash (0) January 31, 2019 Flinders Mines has postponed its delisting from the Australian Securities Exchange (ASX) to deal with applications made to the Takeovers Panel by shareholders who disagree with the company’s plans. Fortescue prices climb as West Pilbara Fines delight China (0) January 31, 2019 Fortescue Metals Group is making a strong first impression with its higher grade product in China as prices for iron ore have increased for the miner. Australian Bauxite ramps up operations at Tasmanian mine (0) January 31, 2019 Australian Bauxite has launched mining and screening at the Bald Hill mine in northern Tasmania to prepare for its next cargo of seaborne cement-grade product. Iron ore prices rise on Brazil dam disaster concerns (0) January 31, 2019 Iron ore prices have been bolstered by the threat of supply disruptions caused by last week’s tailings dam disaster in Brazil. MACA to extend Emerald relationship with $303m contract (0) January 31, 2019 MACA has secured a $US220 million ($303 million) agreement with Renaissance Minerals to supply equipment and mining services at the Okvau gold project in Cambodia. 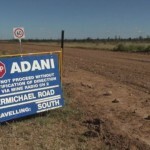 Adani receives nearly 14,500 applications for Carmichael jobs (0) January 30, 2019 Adani has revealed that 14,498 job applications were received for the Carmichael coal mine and rail project in Queensland by the end of December. Sandfire stays on course as Monty ramps up (0) January 30, 2019 Sandfire Resources has maintained production guidance for the 2019 financial year following strong output in the December quarter and ramp up s at the Monty copper-gold mine. Cadia production record boosts Newcrest output (0) January 30, 2019 Newcrest Mining has increased production at each of its four gold mines in the December quarter. Syrah overcomes Balama fire to keep production on track (0) January 30, 2019 Syrah Resources has posted strong results in the December 2018 quarter in spite of production issues caused by a fire at the Balama graphite mine in Mozambique last October. OZ Minerals strikes greenfields discovery deal with Red Metal (0) January 30, 2019 OZ Minerals and Red Metal have formed a joint venture agreement aimed at fast tracking the search for greenfields discoveries at projects in Western Australia and Queensland.